Rick Tabish is a hands-on executive managing the $100-million-plus bitcoin mining complex in Butte, moving forward with a slag processing facility in Anaconda, and pursuing numerous other business projects around the state and world. Surrounded by his team, Rick Tabish, right, holds a conference call on two cell phones on a recent morning in his office at CryptoWatt in Butte. Rick Tabish, the executive of CryptoWatt, talks via speakerphone during recent a meeting. Rick Tabish wears safety gear as he stands in a corridor blowing cold air to thousands of computer servers at CryptoWatt in Butte. An early outline of the slag processing plant that Premier Industries is building along Mill Creek Highway near Anaconda begins to take shape. General contractor FX Solutions Inc. — owned by former Premier principal Rick Tabish — has been doing site preparation work at the site. Rick Tabish, consultant and contractor for Premier Industries LLC, speaks to a room of about 100 during a public information session in Anaconda in 2017. From left, Vaughn Boyman, engineer; Rick Tabish, consultant; and Dan Tabish, engineer, are pictured in front of a machine to test turning Anaconda slag into proppant in 2017. 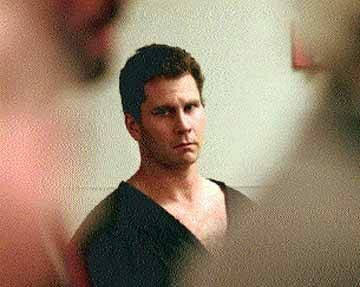 Rick Tabish is seen during a court appearance in 1999 in Las Vegas on a murder charge. It's 9:01 a.m. and Rick Tabish is in problem-solving mode. He's about to hold a meeting with his core team to discuss expanding and retrofitting CryptoWatt, the sprawling data center at the old MSE site that has turned a shut-down symbol of Butte's past into a literally humming business — the largest cryptocurrency mining center in the mountain West. Tabish is, in a word, intense. It's accurate to say his eyes bore into you. He is sitting in his war room, a plain vanilla office at CryptoWatt, completely devoid of ornamentation — fripperies like framed family photos or thank-yous from service clubs. Although he has plenty of both. The office contains his desk and chair, a couch, and a few chairs for visitors. A computer with an enormous monitor about the size of three conventional ones. A 2-foot-high jar of protein powder capsules, normal-sized Tums and Advil, and a shrink-wrapped coffee-table-sized block of packaged bottled water. Just as he starts to convene the team, his cell phone rings. It's Bill Everett, chief executive of Anaconda-Deer Lodge County. Everett has a problem. He has many. But the most emergent this frigid March morning is a large, frozen underground pipe. Tabish reacts quickly. "Call that rental outfit with the ground heater and blankets," he yells to a startled employee who happens to be walking by his door. "Tell them to hold onto them for Anaconda-Deer Lodge. Somebody from the county will come pick them up." Asked recently by this newspaper what he did at CryptoWatt, Tabish responded wryly, "I'm the janitor." What is he actually? A hands-on executive managing the $100-million-plus bitcoin mining complex the same way he built it — like his hair is on fire. Tabish is a man not so much speeding from a checkered past as racing headlong toward a grandly conceived future. Now, building on the success of CryptoWatt's development in Butte, Tabish has parlayed entrepreneurial instincts, an obsession with logistics, and a blistering determination bordering on the manic to launch a series of projects — across the state, nationally, and internationally — on a scale that's tough to comprehend. "We don't run on ego. We don't run on foolish pride. We run on results," he says. Rick Tabish is a driven man. He is also a convicted-then-acquitted former felon who did 10 years in a Nevada prison for murder in one of the most sensational criminal cases in the history of a state known for sensational criminal cases — the death of casino scion Ted Binion. Armed with an acquittal from the Nevada Supreme Court and little else, he says he emerged from the penitentiary in 2010 determined to build a life in business without the aid of his family company in Missoula. "I said, 'You spent $3 million helping me with my legal problems. I don't want to work on the family dime. I want to build something myself.'" So he came to Butte, where his first cousin, Paul Thomas, runs his family's longtime clothing business. Tabish had an idea. Oil was booming in the Bakken, and if Tabish knew anything about the oil business, it was that roughnecks go through work clothes like most people go through Kleenex. So with Paul's assistance, he filled a truck with Carhartts and headed east. Instead of setting up a storefront, he used a mobile credit card reader and parked his truck where workers would see him at shift changes. In six months, he says, he made nearly $300,000. In that time, he kept his eyes and ears open and saw a big problem for drillers that he thought he could solve. The state of North Dakota, which Tabish said "heavily regulates" the oil fields, had outlawed reserve pits — pop-up dump sites for fracking waste. So Tabish devised a portable reserve pit — a repository on wheels. Drillers could dump the frack waste, and the water would be removed and filtered and the solids taken legally to a landfill. "It took a ton of trial and error to find the right fabric liner that wouldn't clog," Tabish said. "But finally, we did." The oil patch is alive with entrepreneurial types, and competition among well-servicing companies is cutthroat. So for someone selling Carhartts to show up, perceive a niche, and fill it is sort of like a peanut vendor at Fenway Park suddenly batting leadoff for the Red Sox. But like a baseball team, an oil outfit doesn't care where help comes from as long as it comes. So if it turns out the peanut seller can hit .340 and the Carhartt guy can save a well driller a few thousand bucks every time he drills, both of them are going to get new jobs. Tabish started out renting trucks and equipment. Then as he finished job after job, he bought his own equipment. Soon he was a player, and important people took notice, and in the business world, he went from a no-name outsider to having his face on a baseball card with, if not major-league, high-minors stats on the back. It's 9:08. Pipe-thawing equipment is reserved. Tabish calls Everett back. Into the phone, he crows, "You're all set, Bill. Matt Vincent's here, and he says that's another Butte win, solving a problem for Anaconda." Vincent laughs. The former Butte-Silver Bow chief executive, now owner/principal of Rampart Solutions LLC, consults for Tabish, his firm, and his clients. Everett chuckles too on the other end of the phone. He has a lot at stake in his friendship with Tabish. He's hoping that Tabish's own project, a proposed slag-processing plant, could eventually put hundreds of people to work and help revitalize Anaconda's economy. On speakerphone on Tabish's cell is CryptoWatt's current chief investor, whose identity has not been revealed. ("He's a private person," Tabish says.) Also on speaker on the desk phone is Alan Bronec, director of electrical engineering with CTA Architects and Engineers, another regional giant with offices in seven Montana cities as well as Idaho, Washington, Wyoming, Texas, and Louisiana — from his office in Missoula. This is the team that has made CryptoWatt a success story and a blueprint for at least five other plants in planning or early stages of construction, all being project managed by Tabish. Worldwide, problems with such data centers have been frequent. Many in the United States have been built so cheaply that they didn't meet safety codes and were uninsurable. Not so with CryptoWatt or any of the projects Tabish is managing. Engineering the big centers is complex. Air management is everything. Cold air is brought in and circulated between the thousands of servers and other electrical equipment. Then, after the air is warmed by the heat it draws from the machinery, it must be removed. The electrical engineering is critical; both the design and components must be right — to achieve maximal "hash rate," or the computational speed necessary to optimize revenue in the hyper-competitive cryptocurrency field; for safety; and for expense control. CryptoWatt closed on purchase of the Butte site on Jan. 18, 2018, and by March 18 was up and running with the first 3 megawatts of power to the site. The entire site was built out to 60-megawatt usage with some 50,000 servers humming away in the seven buildings before the end of 2018. "That kind of schedule is unheard of in this industry," Vincent says. It was a stunning accomplishment that pretty much nobody outside the industry was aware of, but it certainly burnished Tabish's project manager reputation. The CryptoWatt data center was state of the art when it came online. Executives and entrepreneurs from as far away as China came to Butte, toured the facility, and asked one question of Tabish: "How did you build this so quickly?" His answer: "A great team and fantastic work from people in Butte, America." The first big hurdle was a substation to handle the enormous power needs at the site. NorthWestern Energy said the substation, built to carry up to 124 megawatts, would take NorthWestern more than 14 months to build because of competing projects and commitments. Tabish's team members did it themselves in less than half the time. That, Tabish said, is no knock to NorthWestern — he just couldn't accept that timetable and figured out a way to get it done to his schedule. Barnard, he says, "has the ability to structure and organize the substation and transmission system. They get it engineered, laid out, and thought out, getting the power from substation to building. In my view, it's one of the very best companies I've ever worked with." From there, CTA engineers designed the complex system of getting the power "to the breakers and the racks (of servers)," Tabish says, "and Ray Peterson took it from there." The small Anaconda company has been around for a long time, but this project super-sized it — from three or four employees to around 50 at one point during the initial installation. "Ray gets everything permitted with the county. He makes sure we do it right, and he gets the components installed," Tabish said. Now, Tabish is asking the same team to take the seven buildings full of servers and nearly double production — by adding servers and also by changing out thousands of older Russian-made Bitfury B8 servers with newer, more efficient S9 servers made in China. "How many servers can you put in each building? Only as many as you can cool," Tabish says. This morning, much of the conversation revolves around those logistics — rack design (manufacturing of the racks is done by AFFCO, the Anaconda Foundry Fabrication Co.), component parts, delivery schedules. A challenge has emerged: A supplier of electrical parts from China has sourced thousands of PDUs — power distribution units — that don't meet the specifications the team has set out. "Get him on the line," Tabish says, and yet another cell phone is added to the conference call cluster on Tabish's desk, which is itself beginning to look a daunting piece of power transmission infrastructure. The supplier in China is reached and looped in. Tabish is all business, but his frustration begins to show after the call is ended. "We do things a certain way," he said. "We don't deviate. We won't compromise our design. Lots of people see our success and want to work with us, but they don't have our standards, and they end up costing us time, which is the most precious thing we have. "Here we have this entire dream team ready to go on this project, and if we can't get the right components, here we are stalled, and that's something I can't take. I'm not going to waver one crumb on this. It's got to be right. It's got to pass code. "The fear I had all along with this is that we were going to save a dime and spend a dollar because of inefficiency. Everybody wants to build something cheaper. But it isn't cheaper, at the end of the day. You need something that is built right and will last." Heads nod around the room. Once the correct parts are secured, buildout will be just three weeks, taking the power usage up to 75 megawatts and the footprint to about 65,000 square feet. Completion is expected in May. As a few other issues are brought up and dealt with, a tall, spare, vaguely athletic grey-haired man walks in, smiles at Tabish, and takes the only available seat. "Dan!" Tabish booms. "Howya doing. Hang tight. We're almost ready to switch gears." The gear to be switched is from CryptoWatt to the slag plant. In a major victory, Tabish has received his industrial air quality permit from DEQ to start up the first full module of his planned slag-processing plant. He intends to take the slag and process it into pig iron and silica in the form of tiny glass balls, which he believes will make a superior proppant, a material used in fracking. Problem is, he doesn't have a commitment from NorthWestern Energy to transmit that much power yet. So he is planning an interim step. A pilot plant in Butte has had promising results. But it would be useful to the project — and actually get some cash flow going — to build a larger "bridge" pilot plant on the site and begin processing on a modest scale. Enter his cousin Dan, a metallurgical engineer. (And, sure enough, a distinguished athlete who owns one of the longest-standing Montana high school state championship track and field marks in the book — plus a discus throw of 193 feet, 7 inches in 1982). Dan went to the University of Washington on a track scholarship and earned a degree as a metallurgical engineer. He's been working with Courtney Young, a Montana Tech professor, on a patented formula Young devised to turn the previously useless slag into two eminently useful products. At this meeting, he sounds a cautionary note, discussing the time frame needed to get the larger pilot project online. Tabish, clearly, is of a different mindset. Surprise: He wants to get it going yesterday. Dan looks like he's used to that. Smiling placidly, he gives Rick the benefit of his perspective and discusses some specific points with his revved-up cousin. Tabish's vision for the project is grand: He wants to build no less than 15 of the full-sized furnace modules. If he can do that, he says, he'll process all the Anaconda slag in 25 years. A longshot play? Perhaps. But many people who know Tabish aren't placing bets on failure. "He's very focused and very driven," Vincent says. "A real positive force to be around. And he's always going, whether you call him at six in the morning or eleven o'clock at night. "He is also uniquely good with people. Whether it's the professionals he networks with to get jobs done or showing his compassionate side for kids or folks who are less fortunate. He really seems to know what makes the human spirit tick." • Broadview: An enormous data center. FX has applied for some 300 megawatts of transmission capability, and the project is in the study queue with NorthWestern Energy. The company is some $10 million into the project with engineering, design, and site prep. • Hardin: Some $20 million has already been spent on a 100-megawatt, $92-million data center project. The project will create 57,000 square feet in six new buildings to house a data hub. The site has the advantage of having an onsite coal-fired power plant which it will use to get up and running. • Polson: FX has applied for 20 megawatts of capacity for a data center and is in the study queue on this project also with NorthWestern Energy. • Northeastern United States and Western Europe: Two massive projects totaling 1.5 gigawatts of power are in planning stages. He is planning, as much as is practicable, to use the same team to build out all of them. The slag plant is the only project he anticipates having controlling interest in. The rest are "simply" management jobs, although he allows that he may acquire some interest in some of the facilities as a form of payment for his project management. The business strategy behind the huge data center projects goes far beyond cryptocurrency. The real future for the plants — Butte's included — is artificial or machine intelligence, or AI as it is known. Corporations and governments alike have an insatiable appetite for the application of algorithms to problems, at high speed and high degrees of complexity, at large data centers. From an investment standpoint, building out ambitious data centers looks all the more attractive if one can monetize the center for a year or two — or however much longer crypto lasts — then convert to other AI uses and have basically a paid-for center that has already "earned out" the expense of creating it. Tabish doesn't claim to be an expert in either crypto or AI — "as a matter of fact, I've learned to keep my nose out of what I don't understand," he says — but he knows the demand is there, and he's leveraging his reputation as somebody who can quickly give entrepreneurs a first-class place to plug in their super-computing networks. "Dirt and power," Tabish says. "That's what it's about." In other words, he's become increasingly adept at identifying places where land and electricity are available at attractive prices. If all of Tabish's projects are built out, they will collectively claim about a third of the total power use in the state, making his relationship with NorthWestern Energy more vital to his business than anything else. It's been a learning process. Tabish smiles ruefully when he tells a story on himself: When he was first considering the slag plant idea, he jumped to a very inaccurate conclusion. There, right next to the slag pile, was a sizable power plant — the Dave Gates Generating Station. But after that first glance, it didn't take long for him to find out that Dave Gates is a load-balancing plant — used to provide NorthWestern with power when demand outstrips supply — and therefore is a non-factor when it comes to providing additional power for things like the slag plant next door. That little anecdote aside, Tabish has become an expert in planning power capacity and transmission for projects. "You've got to go out and find the electrons to go through the system at a competitive market price," he said, adding that the transmission piece is equally vital. "Without the hose, you can't water the garden," he said. Tabish could not be more effusive in his praise of NorthWestern. "I love working with those guys," he said. "Butte has no idea how great they are. I have a ton of respect for what they do." Brandy Powers, NorthWestern Energy spokesperson, said that the Broadview, Polson, and Mill Creek (the slag plant) proposals are all in a 60- to 90-day study process in the company's transmission group. "All those projects are in the study phase, all in similar timeline," she said. "We're drilling down to provide added detail and assembling information, like projected costs and timelines, that Mr. Tabish is going to need." Asked about the company's relationship with Tabish, NorthWestern's Powers said, "He has followed the process exactly. He's been transparent about his company's needs and very responsive to requests." Taken as a whole, the projects Tabish is managing in addition to the Anaconda plant will account for a significant portion of NorthWestern's transmission capacity, and as such, he's on his way to becoming one of the utility's biggest customers, if not the biggest. Tabish is not without his detractors and naysayers. One of the loudest has been John S. Fitzpatrick, an Anaconda property owner, former lobbyist for NorthWestern Energy, and governmental affairs director for Pegasus Gold. He has accused Tabish of "doubletalk and exaggerations" and points to his past as an indicator of a lack of credibility. Fitzpatrick points to Tabish's modest application to DEQ, asking to permit a plant to process just 86 tons of slag a day with 30 employees. He contrasts that with Tabish's earlier claim that the plant could eventually process 5,000 tons of slag a day and employ 700. Tabish points out in response that he has just asked to permit one module of the plant, not the whole thing, and that as each furnace comes online, it will have its own industrial hygiene and emissions protocol and will be fully permitted. "I believe in him," says Anaconda's Everett. "He's doing a lot for this place." Early this year, Tabish donated more than $50,000 worth of clothing — hats, coats, boots — for more than 200 Anaconda schoolchildren. "I wanted to make sure it was all different — didn't want it to look like a uniform — and I made sure it was good quality. Helly Hansen, Carhartt, the kind of thing I would wear," he said. "I don't need a pat on the back for it. It's what drives me. I care about kids." Tabish realizes he will always be a lightning rod for criticism like Fitzpatrick's. And the only cure for it, he knows, is accomplishment. "I don't have time for the negativity," he said. "I love Missoula, but by comparison, folks in Butte and Anaconda are hungry to do something to help their communities. They are being extremely aggressive to create jobs and watch their communities and their tax base grow. I appreciate that. "These projects, getting them done, will enable me to do great things for other people. That's where I get my joy. "And I want my kids to be proud of me." This Thursday, local kids and adults will perform "Urinetown" during the musical satire's opening night at the Orphan Girl Children's Theatre. Sounds like a con man. Many red flags for me. Just don't trust him. Leading edge on: murder and consequence; bitcoin data management (cooling ability) and creating fracking material from smelting waste. Seems like speed is the advantage and consequence is the price. Thank you for this story, Montana Standard. The public and ratepayers need a whole lot more information about this project which will use up to ONE THIRD of the total electric use of the state, according to this story. Why should our power rates skyrocket to fund power plants for these data centers? NWE is talking crazy talk, like trying to stick us with dirty, old Colstrip. NWE is acting like a tech dinosaur.